Some adult students have participated in organized sports at some point in their education. They understand sports, and they understand the relationship between an athlete and a coach. 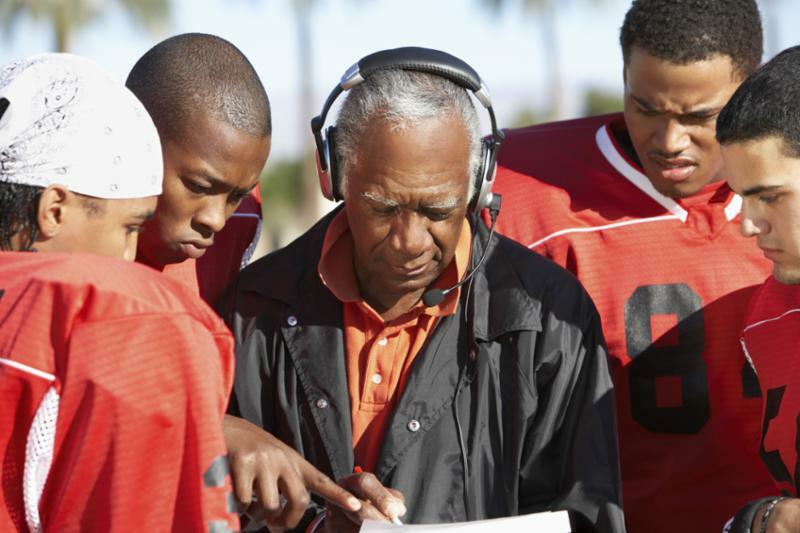 They respect a coach as an integral part of a team who guides the team towards its goal. The same is true about teachers, and yet many adult students have had negative experiences with teachers that they still carry with them; however, everything that can be said about a coach is also true for teachers. A coach knows the game inside and out and knows how to get you ready to succeed -- just like a teacher. A coach will offer constructive criticism not to show you how bad you are, but to help you become better -- just like a teacher. A coach looks back at your past performances to identify areas for focused practice -- just like a teacher. A coach always believes that you are able to improve -- just like a teacher. As teachers, we can benefit from viewing ourselves as coaches of sorts. Perhaps that perspective can also help some students to understand that you and they are on the same team, and want the same things. Edutopia's article, Thinking Like a Coach, looks at the task of providing feedback on students' writing through the lens of coaching and examines ways that our feedback can be more effective. Many educators around the state are familiar with the FastForward online curriculum. Among others, the PA Distance Learning Project uses FastForward with their students. The new FastForward Skill Check app from KET can help your students to decide if they are ready to take the GED®, HiSET®, or TASC test. Just click on a subject in the app to practice skills in language arts, social studies, science, or math. Questions include lots of hints and images to help the student to arrive at the right answers. Check out the video to learn more about the Skill Check app. March is Women's History Month. If you are interested in highlighting in your classroom the achievements and experiences of women from the past and present, check out the resources gathered at ReadWorks.org . Edutopia recently shared an article titled The Power of Empathy, in which the author describes an experience that many teachers have had: a particularly challenging student with a challenging attitude towards class; however, upon learning more about the student's challenges, the teacher discovered an important truth about empathy: It may do nothing to help the student's situation or even their behavior, but it can make a big difference in how we look at our students and how we feel about helping them. Many people enjoy listening to podcasts and audiobooks. Listening to spoken information is a great way to learn and also a great way to reinforce reading skills or a love of reading. ReadWorks.org now offers new audio for some of their articles -- real human voices. Find a list at ReadWorks.org . Registration is now open for Penn State University's summer courses (May 14 to August 8) for the Family Literacy Certificate and online Certificate in Adult Basic Education . Save the date for the 2018 PAACE Conference on March 11-12, 2019. There is updated information that those who work closely with TABE assessments should be aware of. The TABE is now aligned with the College and Career Readiness Standards. The TABE 11/12 will go into eff ect July 1 and the locator and three subject tests will take approximately six hours. For more information, visit the TABE website. The Power in Numbers initiative is looking for successful adult education students to feature in a series of videos showcasing the unique journeys of adult learners. Do you know of someone who transformed their life and career through completing their education? You can share information with your successful students who would like to motivate and inspire students around the country. Interested parties can fill out this short form or reach out directly to powerinnumbers@luminary-labs.com . Tips for grant writing "newbies"
The blog GetEdFunding.com has shared a bulleted list of tips for anyone who has been tasked with writing a grant proposal but has never done it before. Titled How to Get Started Writing Grants , this post can help you to begin an organized and successful proposal.